The CBD market is filled with all kinds of products to choose from. 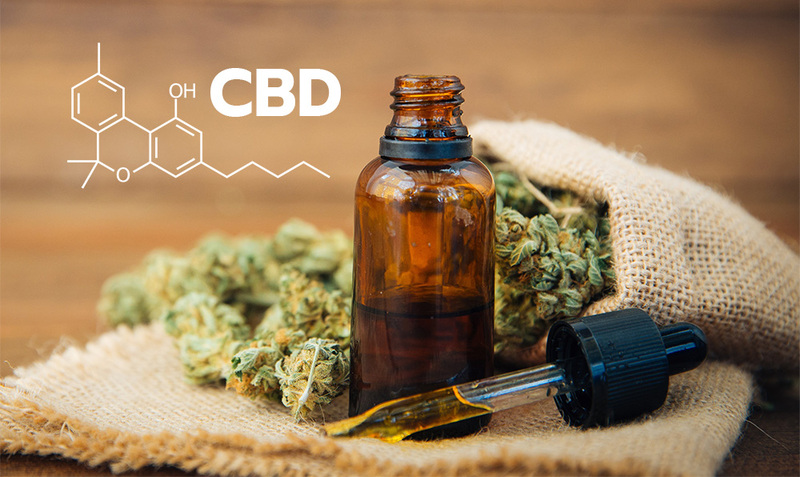 Go on any CBD website or marijuana-related website and you will be able to search through endless pages of CBD offerings that allow you to enjoy CBD in almost any way, shape, or form. A wide selection of products is important but it’s also important to know what you have at your disposal, how to take it, and what options may work best for you based on what it is that you are attempting to accomplish when you take CBD. For those who are just entering the CBD market for whatever reason and are trying to figure out how they can add CBD to their daily self-care regimen, here are five ways that you can consume CBD. Before you begin considering consuming CBD, the first question that you should ask yourself is, what is CBD? CBD, also known by its full name of cannabidiol, is a chemical substance that is found in the cannabis plant. This chemical substance belongs to a family of substances known as cannabinoids, which all act to provide the body with different experiences when hemp or cannabis is consumed or absorbed through different methods. To make it easier to understand, think about marijuana. Marijuana contains an active ingredient known as THC. THC is yet another cannabinoid found within the hemp plant and its most well-known quality is giving users the psychoactive high that they experience when they absorb the substance. Although CBD doesn’t provide the same effects (we’ll talk more about this in the next section), it is said to provide some effects that generally impact the overall health of the individual taking the cannabinoid. This is an extensive list but it does not cover the entirety of all of the supposed benefits that CBD has to offer. However, it should give you an idea as to the scope of the problems that CBD may be able to cure. Now that we’ve taken a look at some of the conditions, diseases, and disorders that CBD may help you to cope with, let’s take a look at the top 5 ways that people consume CBD. CBD tincture oils are oil products that are taken orally. Using a dropper that is installed into the cap of your CBD tincture oil bottle, you take in a certain amount of CBD oil from the bottle and release the liquid under your tongue. You then hold that liquid under the tongue for a period of 30 to 60 seconds, which gives it the opportunity to be absorbed directly into the bloodstream and disbursed throughout the body. This means that those who are seeking immediate relief will get it once the CBD has been properly absorbed. In addition to the fact that it is fast-acting, it is also portable, easy to use, and enjoyable as most manufacturers will add additional flavors or base oils for those who aren’t in love with the natural taste of hemp. Much like marijuana edibles give users the opportunity to enjoy a treat while they get the active ingredients that they are looking for, CBD edibles provide the same experience without the psychoactive high. Many edibles on the market come in the form of gummy candies, treats like cookies and brownies, and other types of candies and sugary foods. The great part about these types of products is that they are easy to dose due to the fact that many tell you what dosage they contain so that you can take a certain amount whenever you need your CBD. While these products do not provide quick CBD absorption like other products that are taken directly into the bloodstream, they do work great for ailments that affect the digestive system. CBD lotions and creams are essentially regular lotions and creams with CBD added to the mixture. These lotions and creams can be applied all over the body but are generally applied to a certain area so that the CBD can be absorbed into that area and tackle the issue, whether it is on the skin or bone deep. Lotions are non-greasy and work as excellent moisturizers so that you don’t have to worry about feeling uncomfortable when you apply them. Like edibles, these products are not absorbed with quick, widespread use in mind and work better for skin problems and inflammation in certain areas. Smoking or vaping CBD is one of the most efficient ways to take CBD. For those who enjoy smoking, there are strains of hemp flowers that contain high levels of CBD and can be smoked through a pipe, a cigarette filter, or any other kind of tool that allows for combustion. Those who are more health conscious may choose to vape their CBD instead. Vaporization is accomplished with the use of a dab rig or a vaporizer device and heats your CBD product up to such a point that the CBD is turned into a vapor or inhaled. CBD vape products may come in the form of oils or concentrates. Those who want a simple way to take their CBD will often turn to pills. CBD pills will usually contain pure CBD that makes sure users get exactly what they want and in the amount that they want it. It’s very easy to dose these products as they come in specific amounts and you can purchase them almost anywhere. There are so many CBD products out there that it can get confusing. If you are just getting started and are looking for some of the most used products that can achieve the desired effects, here are the top five ways that you can begin consuming CBD. Want to study cannabis? Check out these universities and colleges in Canada! Is it safe to smoke pot while breastfeeding?